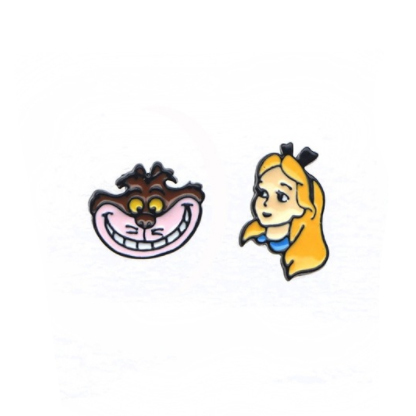 Alice In Wonderland Earring Studs! These colourful Alice In Wonderland Earring Studs represent one of Disney greatest characters. Both earrings are different. One is of Alice and the other is the Cheshire Cat. These Alice In Wonderland Earrings are a great gift for any Alice collector and add a touch of awesome to any outfit.